The cost of health care is driven by third-party payments in which payments are made to the physician by insurance company or governmental body instead of the patient. According to Scott Atlas, debates in health care reform typically underemphasize the most crucial aspect of reform: reducing the cost of health care itself. The current system in place puts too much emphasis on reducing the cost of health insurance, while ignoring the root of the problem, reducing the costs of health care. Check out this article, where Atlas argues, “We first must create an environment where consumers care about prices and receive benefit from seeking value.” Making insurance more affordable does mean that health care becomes more affordable. Creating a competitive health care market where consumers can shop for the best health care will drive down costs and increase the quality of health care offered. Read more about Atlas’s proposal for lean and healthy coverage, in which he argues, “Short-term, streamlined health policies are a boon for consumers. More Americans should be allowed to choose them.” Strategic health care reforms need to empower consumers, lower the cost of insurance, and improve access to affordable health care. While the current administration has been making significant inroads to fixing the current system, more steps can be taken. Read Atlas’s breakdown about the best path for health care reform here, where he suggests the following changes, “Broaden the availability of high-deductible insurance plans with fewer mandated coverage requirements. Make large, liberalized health savings accounts available to all Americans. Increase the supply of medical services through deregulation.” How do Americans broaden access to healthcare? By turning patients into smart consumers with the opportunities of a competitive health care market. Learn about Single-Payer Health Care and why increasing government control and regulation of health care will cause health care costs to increase even more. Scott Atlas analyzes the impact of established single-payer health care systems in other countries and notes, “In those countries with the longest experience with single-payer government insurance, published data demonstrates that patients are held on massive waiting lists with unconscionable delays before receiving critical care.” Americans have gotten used to having early access to the newest prescription drugs, shorter wait times to see specialists and primary care physicians, and shorter periods to diagnosis, but in a single-payer system those benefits will be unavailable as doctors and hospitals are unable to provide as high of quality care. 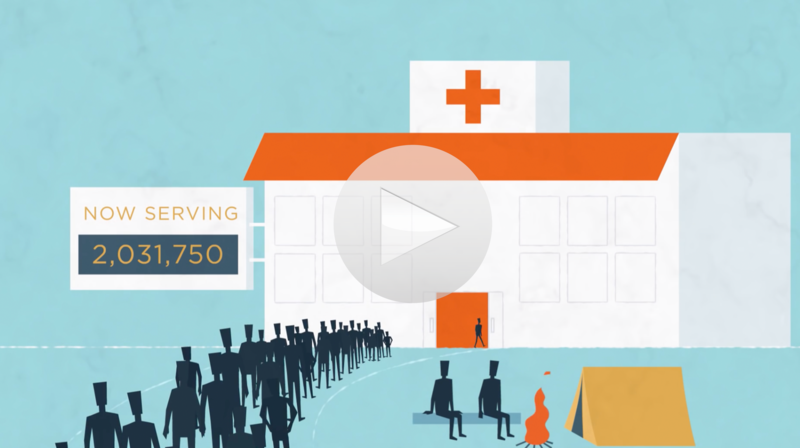 Watch “Perspectives On Policy: Reducing The Cost of Health Care” to learn more about how broad access to quality health care starts with making it less expensive through increased competition and eliminating harmful regulations. 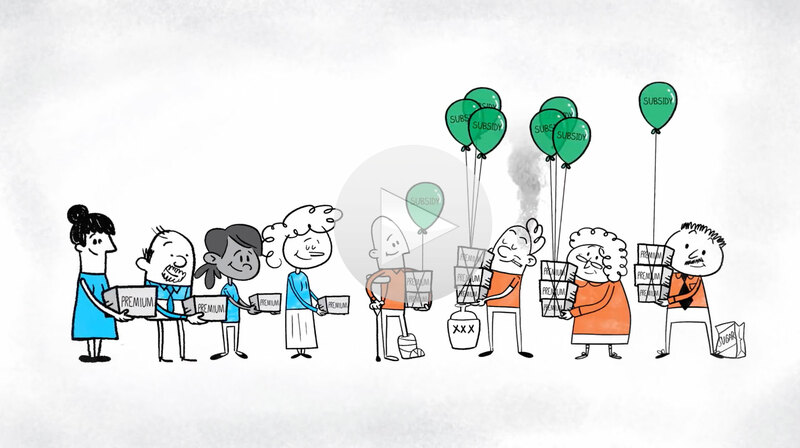 Providing consumers with incentives to explore and consider different costs will enable healthy market competition. Reducing harmful regulations like expanding the supply of medical services will encourage competition. The most effective health care reform puts patients in charge of their own care and the opportunity to choose what they spend while simultaneously lowering costs. Check out Scott Atlas’s book, “Restoring Quality Health Care: A Six-Point Plan for Comprehensive Reform at Lower Cost”. The United States is on the edge of a crisis. As America’s aging population steadily increases, more and more people will need medical care at an unprecedented level. The current health care system, the Affordable Care Act, and the aging population threatens the sustainability of American health care and stifles the innovation necessary to improve the system and handle the influx of patients. Atlas argues that “It is time for a fundamentally different approach…restoring the appropriate incentives to increase the quality of health care and simultaneously reduce its costs. The six-point plan instills market-based competition, empowers consumers, and reduces the federal government’s authority over health care.” Scott Atlas proposes a plan for reform that reflects the principles and expectations that Americans have for their health care. " According to John Cogan, insurance that tries to cover everything ends up driving up costs and making health insurance less affordable. High deductible plans and health savings accounts are the best way to reduce the cost of health insurance and reduce the amount of government oversight in health care. Read “A Policy Too Far” by John Cogan, Scott Atlas, and George Shultz, as they argue “Yes, we need to make affordable health insurance available. However, to do so, we need to scrap the “cover everything” mentality.” The current system of the Affordable Health Care Act has created acute problems for Americans, decreasing access and driving up the costs of health care. Shultz, Atlas, and Cogan breakdown how health insurance has become “a pass-through mechanism to pay for every type of medical service, including routine ones” instead of having insurance to simply protect from financial catastrophe. They argue that this view of health insurance has contributed to rapidly rising health care costs as “Patients with insurance do not perceive themselves as paying for the cost of routine services, nor do their physicians and other health care providers. The natural result has been a more-is-better approach, with patients and doctors embracing costly health care services that are often of little value to the patient.” This concept of health care needs to be reconsidered, returning to the norm of catastrophic health insurance. Read John Cogan, Scott Atlas, and George Shultz’s op-ed, “It’s Time to Rethink Health Insurance” where they argue, “we need new ways of ensuring access to healthcare for all Americans.” The original purpose of health insurance was to protect against the risk of large and unexpected medical expenses. However, in recent years the mentality about insurance has changed drastically as it is now expected to subsidize the cost of all medical care. This drives up costs and makes it harder for Americans to afford the health care they need. They propose that health insurance reform needs to combine “high-deductible insurance with health savings accounts” which can help individuals “defray the costs of necessary, but routine, medical expenses. Such savings accounts allow individuals to set aside money tax-free to purchase immediate or future medical care.” Health savings plans enable Americans to have more control over when and where they spend their money on health care. How should the Affordable Care Act be fixed? Learn more in this article, “Rescuing Obamacare” by Scott Atlas and John Cogan, where they argue, “The best cure? High-deductible plans and health savings accounts.” High deductible plans return health insurance to its fundamental purpose to reduce the financial risk of large unexpected medical expenses. Health savings accounts (HSAs) give Americans the opportunities to set aside money tax-free to cover routine care and other health-related out-of-pocket expenses. They explain, “When consumers pay directly for their care, as they would from HSAs, they have an incentive to choose wisely and to demand that the prices charged by providers become visible.” This plan will reduce the costs of health care for consumers. The key now is increasing the number of people who choose to buy HSAs in combination with high-deductible plans. 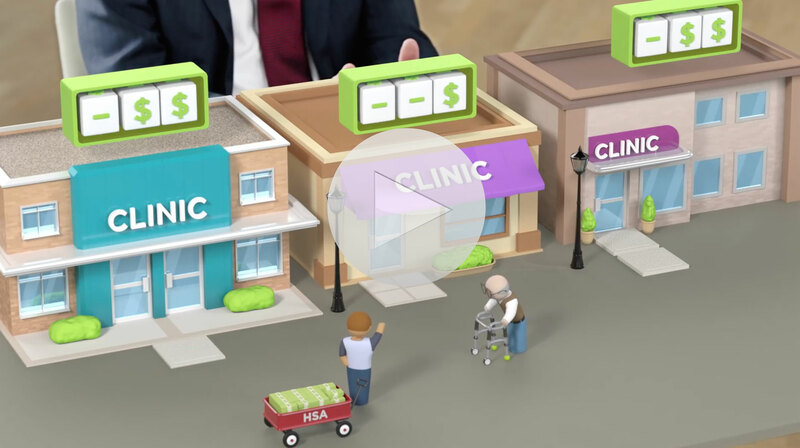 Watch “Keeping Health Insurance Affordable” to understand how targeted subsidies can make health insurance more affordable for high-cost individuals without driving healthy people from the market. Current government regulations prevent insurers from pricing premiums based on risk, which increases costs for everyone in the marketplace. When healthy people don’t pay for that higher priced health insurance, it causes prices to be raised even further, which pushes high-risk patients out of the market. The solution is to offer higher-cost individuals direct subsidies based on their financial needs. This will allow healthy people to stay in the market and lower costs overall. Watch “What's Wrong With Government-Run Healthcare?”, where Lanhee Chen explains why Medicare-for-All increases costs and decreases the quality of health care. When a person gets sick or is grievously injured, Americans have come to expect quality medical care. Government run programs like “Medicare-for-All” don’t provide care at the cost or quality that we’ve come to enjoy. Instead, a free market system of health care encourages competition, decreases costs, and improves quality as doctors and hospitals compete to provide the best care for the best value. Read “Here's What Healthcare Looks Like in a Perfect World,” about how to replace the Affordable Care Act. According to John Cochrane, that while replacing the Affordable Care Act makes sense, it must be done carefully. Some aspects of the Affordable Care Act patched up the unintended consequences of previous regulations and a full rollback would return the system to those previous consequences all over again. He argues that best way to replace the government’s current health care plan is to return to catastrophic health insurance. Health insurance is not intended to be a payment plan for small expenses which drives up costs when it is used that way. The true way to control costs is through rigorous supply competition. Proposed health care reform needs to overturn the original sins of the current system: cross-subsidies and tax-deductions for employer-provided group plans.